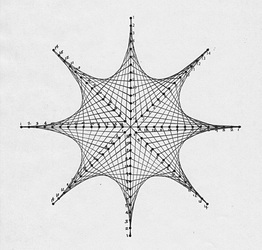 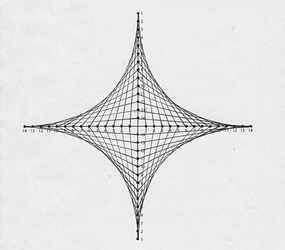 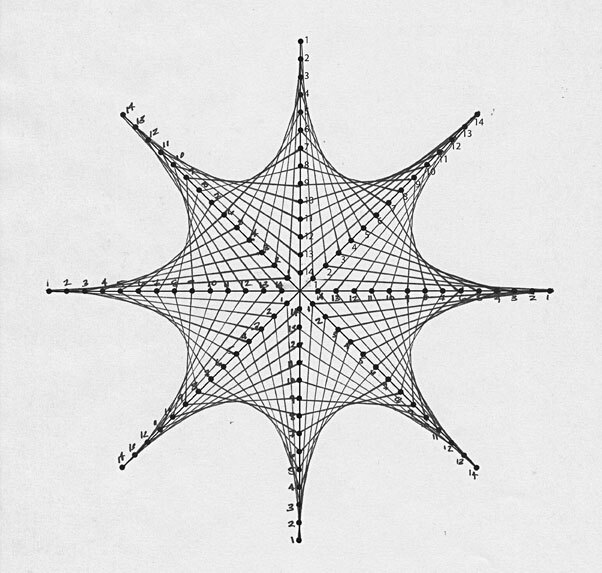 One of the most basic and versatile configurations is the Parabolic Curve line design. 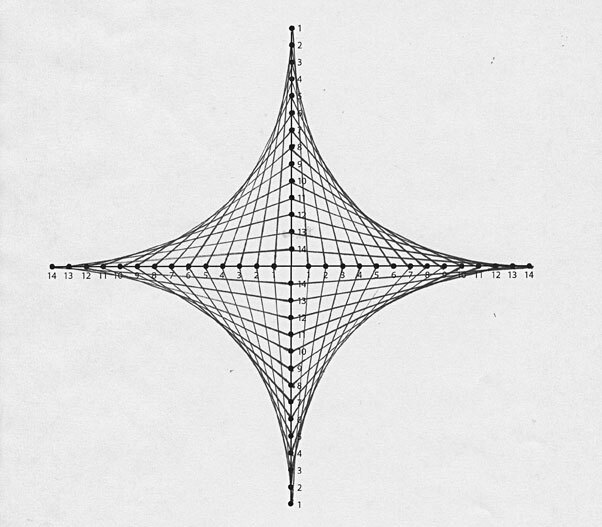 The basic principle of this design is the creation of curved shapes from the intersection of straight lines. 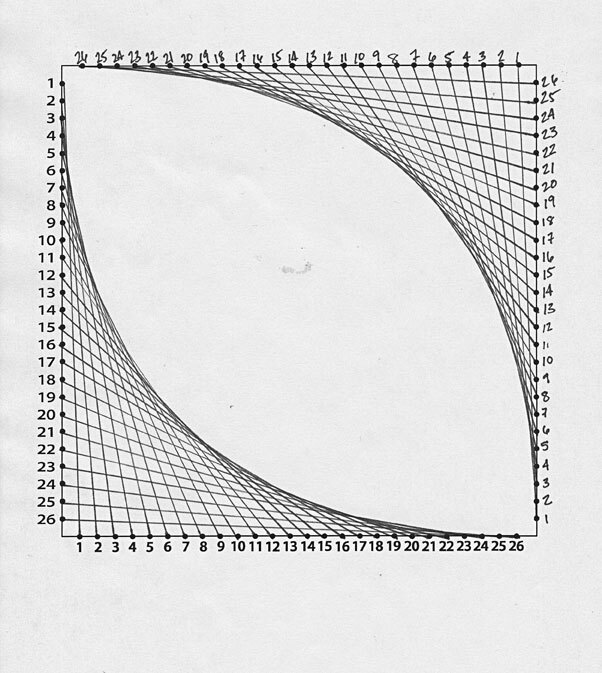 Students will complete the Parabolic Curve Worksheet to help them in understanding how to make a parabolic curve. 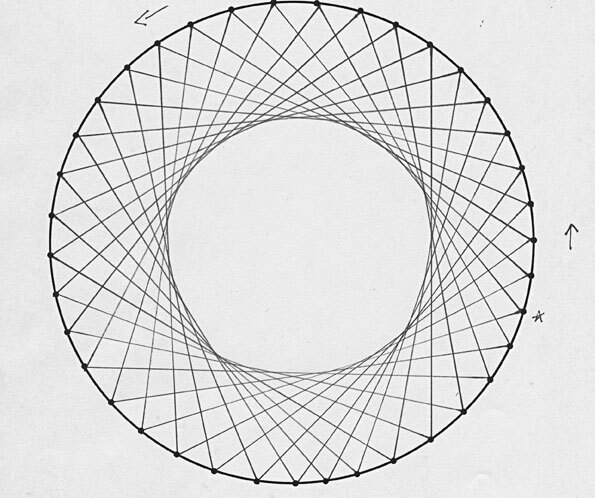 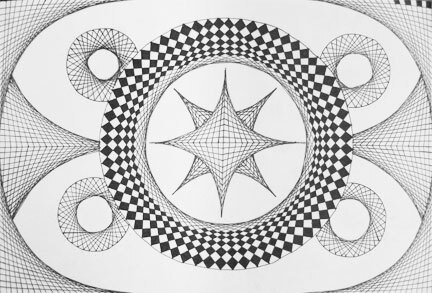 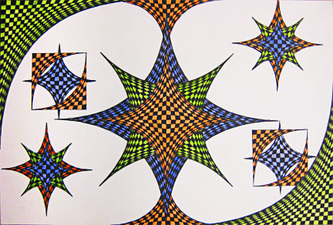 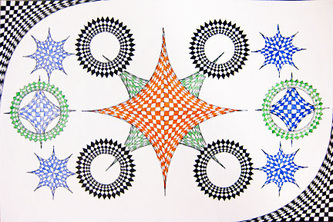 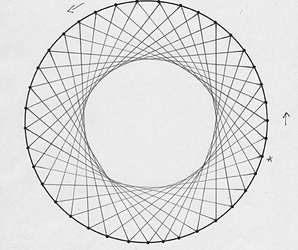 Students will create multiple parabolic curve line design drawings. These drawings must overlap each other. 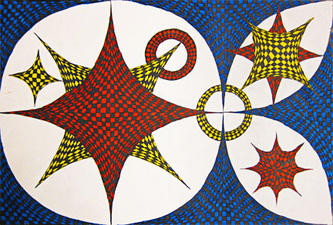 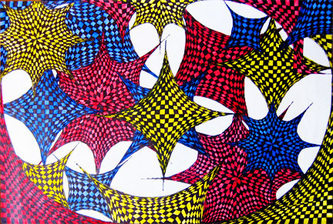 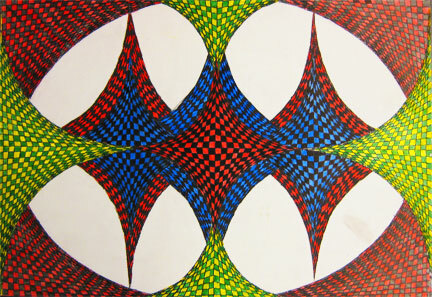 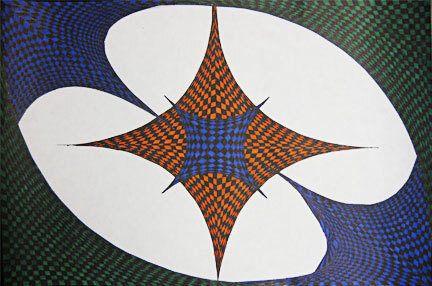 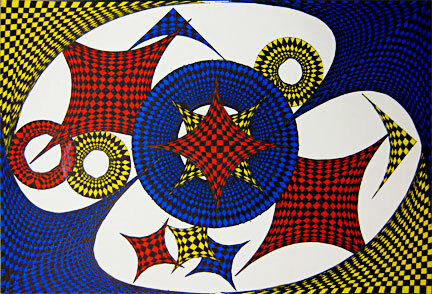 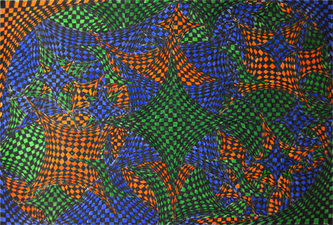 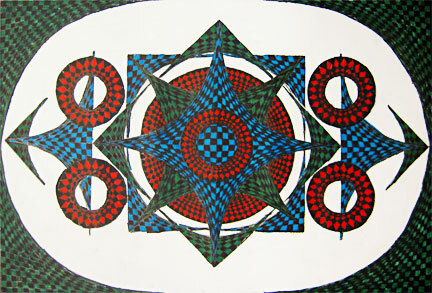 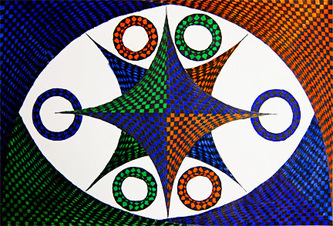 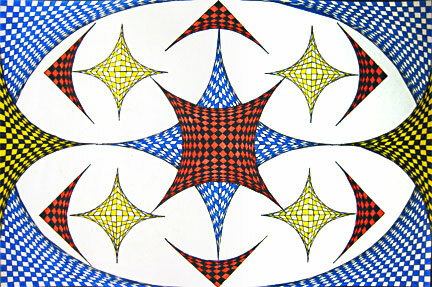 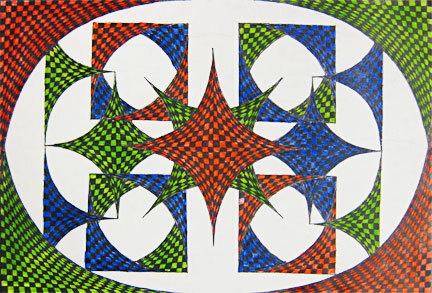 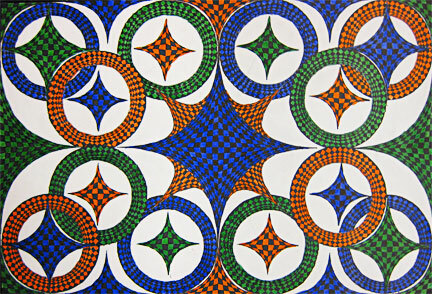 Once done with the drawings the students must checkerboard in the parabolic curves using a color triad color scheme. 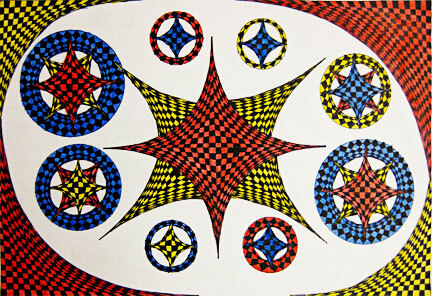 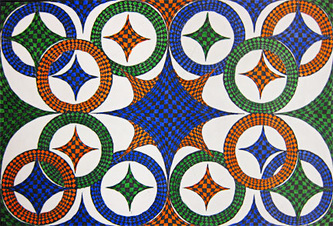 The students can use black + color triad or white + color triad or both to complete the assignment. 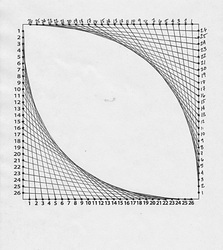 After the drawings are finished the students must fill out the parabolic curve reflection. Should be completed with lines and filled in with a checker board pattern.